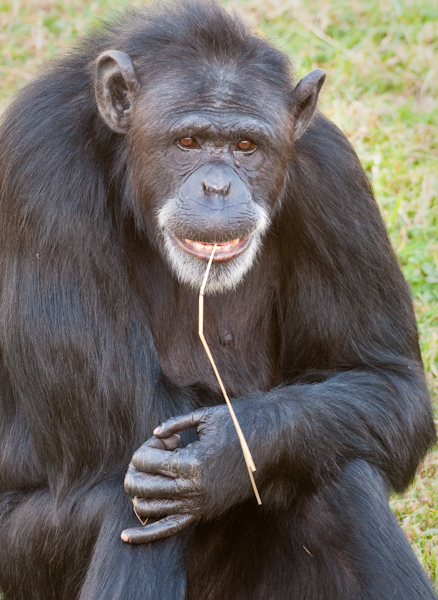 Chimps are found in the wild in west and central Africa. They are very intelligent primates and are the most closely related species to humans. They can live in groups of up to 100 individuals and have a very complex social structure. Although their diet mostly consists of fruits, nuts, seeds, leaves and flowers, they are known to hunt small mammals. They are an endangered species due to habitat loss, hunting for bush meat and the illegal pet trade. Although Chimps and humans are closely related, the apes have suffered much at human hands. These great apes are endangered and still threatened by bushmeat hunters and habitat destruction.